Emotional intelligence has been conceptualized as a constellation of emotional perceptions (trait emotional intelligence) or a set of skills to process emotional-related information (ability emotional intelligence). It has been found that trait emotional intelligence is a more powerful predictor of subjective well-being than is ability emotional intelligence. Although the relationship between trait emotional intelligence and well-being has been well-documented, empirical studies exploring the processes underlying this association are still limited. 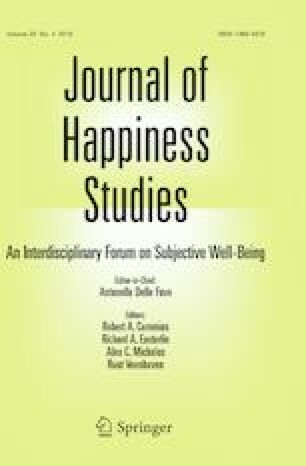 The present study proposed humor styles as one of the mechanisms that may help explain the relation between trait emotional intelligence and subjective well-being (indexed by life satisfaction, positive affect, and negative affect). A total of 462 Chinese college students completed paper-and-pencil measures of the Schutte Emotional Intelligence Scale, the Humor Styles Questionnaire, the Satisfaction with Life Scale, and the Positive Affect and Negative Affect Scale. The structural equation modeling analysis revealed that the positive influences of emotional intelligence on life satisfaction and positive affect were partially explained by students’ tendency to use self-enhancing humor. Meanwhile, the negative relation between emotional intelligence and negative affect was partially explained by their tendency to use self-defeating humor. These results suggest that humor styles represent one of the mechanisms linking emotional intelligence and subjective well-being. This research was supported by the MOE Project of Key Research Institute of Humanities and Social Sciences in Universities under Grant 14JJD190003.